The ideal temperature all year round. Sit back and enjoy reliable, efficient and no-fuss cooling and heating all year round without the big brand price tag. Quiet split-system cooling – only 30db! Say goodbye to sweaty nights and freezing mornings with the Kogan 2.6kW Split System Inverter Air Conditioner (9,000 BTU, Reverse Cycle). 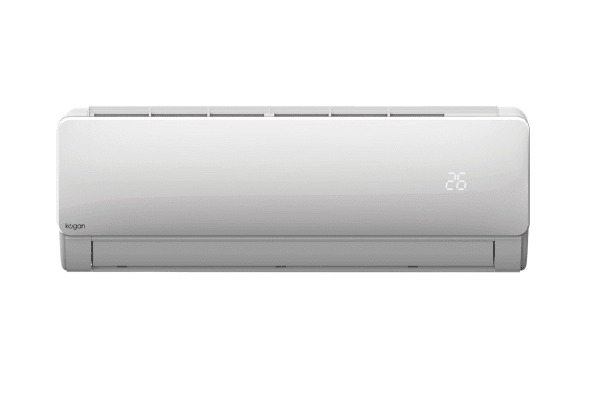 With 2.6kWs of cooling power and inverter technology, this split-system unit is perfect for bigger rooms up to 20sqm in size, with an improved 700m3/H airflow and energy efficient design that makes reaching and maintaining room temperatures a breeze, literally! 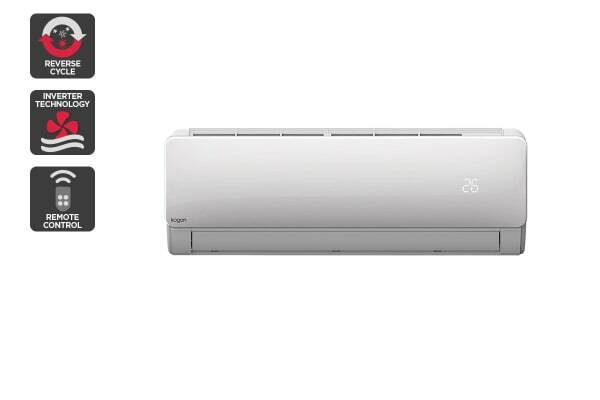 Compared to non-inverter air cons, inverter air conditioners are typically cheaper to run, require less power and achieve your desired temperature quicker and more quietly. The Kogan 2.6kW Split System Inverter Air Conditioner also boasts a miniscule 30db sound range, substantially less than R410A gas systems which can grumble up to 40db plus! Dust mites, mould and mildew thrive in humid environments. The self clean function sends allergens packing by eliminating moisture build up inside the unit, preventing the growth of harmful bacteria and helping you breathe in cooler, cleaner and healthier air. 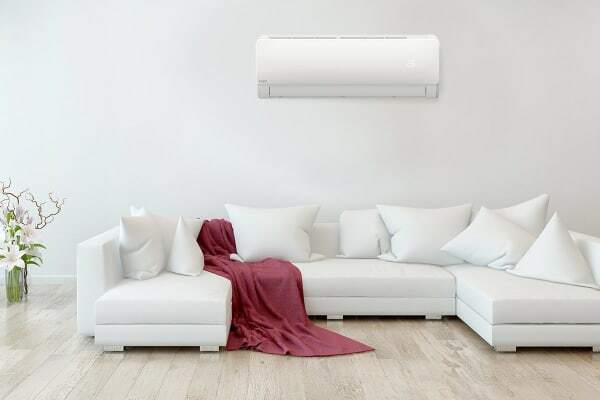 The Kogan 2.6kW Split System Inverter Air Conditioner seamlessly blends with any decor with a slim design that sits almost flush to the wall, providing powerful cooling to the entire room without taking up valuable space. The copper refrigerant tubing and connectors are not included and to be supplied by professional installers. Heats as well as cools for the perfect temperature all year round. Control your air conditioner from across the room with the included remote control. Faster, more consistent and more energy efficient cooling. Mount the indoor unit to the wall for sleek, inconspicuous climate control. With cooling, heating, dehumidifying and fan functions, this all-in-one unit has all your heating and cooling needs covered. Simply connect the exhaust to a door or window and relax in comfort.